Athens grew up at Olympia, which his parents, George and Despina, bought in 1984 after emigrating to the US from Greece. 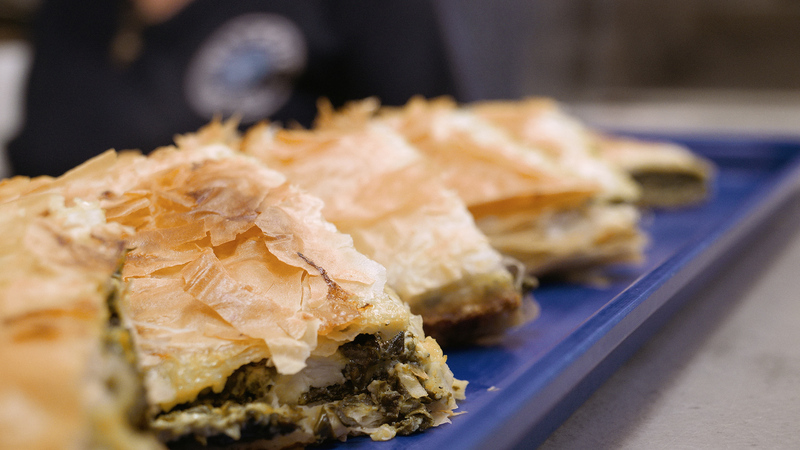 Despina still makes the spanikopita from scratch every day, and they serve it up alongside Greek specialties like grilled-to-order chicken and lamb souvlaki, stuffed grape leaves, and Greek salad. 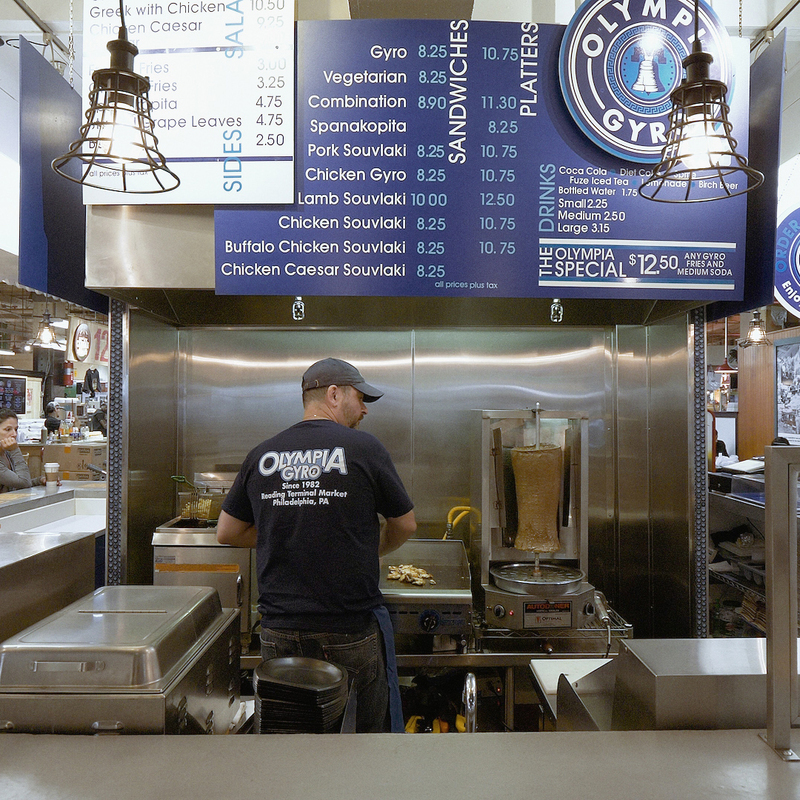 For a modern interpretation of Greek-American food, try the buffalo chicken or chicken caesar souvlaki. No matter what you order, don’t leave before you’ve had a triangle of Despina’s homemade baklava.